The Being Well Process is exactly what it says it is. It is about the process we need to continually go through in order to be well and live well throughout our lives. There is a constant proliferation of ideas and suggestions on how we should be living, what we should do and what we should not be doing, and this can just simply be overwhelming at times. The Being Well Process is about equipping you with the knowledge and the skills that you, or your organisation need to be at your best as much as possible. Through individual therapy, retreats and workshops Amberley will help you to understand yourself and/or your organisation well enough so that you are enabled to continually make the choices that work well, so you can be well. 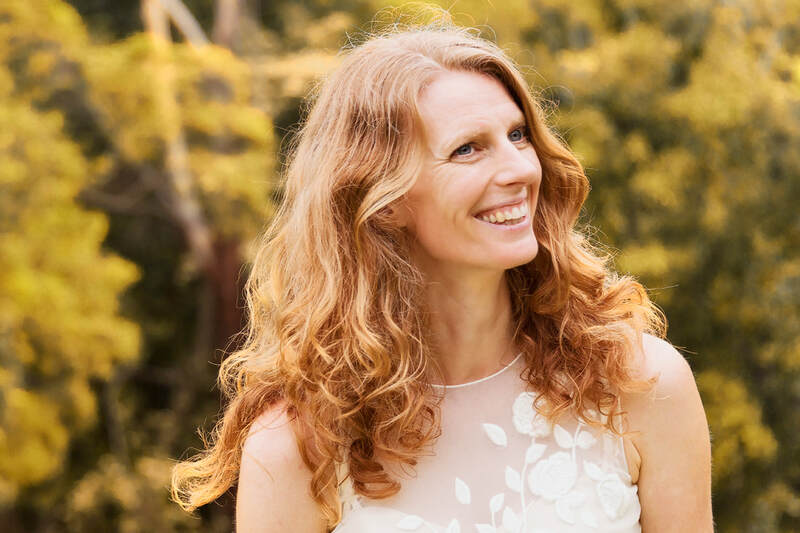 Amberley is registered with the New Zealand Board of Psychologists, is registered as a Psychologist with AHPRA in Australia, and she is a published author. Amberley holds a degree in Psychology and a Masters in Health Psychology, both attained in the UK. She has worked in the health and wellbeing sector for over 20 years, across continents and cultures. This has included working with companies, in hospitals, and on community mental health teams as well as in private practice. Amberley practices a vast array of different therapeutic techniques. Amberley’s approach is centred around the belief that humans exist and connect on a physical, psychological, emotional and spiritual level, and that we are affected by both the seen, and sometimes unrecognised, universe around us. As we exist in these different ways true healing can only occur when we address the needs and connections of all these levels. It is not uncommon to find the belief that one therapy or one therapist who say that they 'fix all'. Amberley feels that healing occurs across our lifetimes and will involve many people, who we will encounter both professionally and personally. Amberley intuitively combines many different therapeutic techniques to help people find the right solutions for them. Her central aim is to equip you with the knowledge and tools that you need to navigate through any stressful, painful or traumatic event to a place of positive growth. When science is used to inform wisdom and integrated into a person's approach to life and other people then great advancement is made. Amberley believes that humans do not do well when limitations, labels and restrictions are enforced or applied. Thus her work is about using what is known, and discovering what needs to be understood and changed. Then by bringing these elements to the forefront lasting healing and positive growth occurs. Amberley can provide psychological diagnosis if it is sought having worked in the clinical field of psychology for two decades. Within the context of diagnosis Amberley will offer you a broader understanding of the events that humans go through and their consequences and explain how a diagnosis has come to be, beyond the meeting of diagnostic criteria. ​Sometimes a diagnosis is very helpful, at other times it provides an ill-informed perception of illness or disability, rather than reflecting an experience that can be changed. When a broader context can be seen, a greater number of solutions present themselves. thus providing more scope for positive change. Mental health is becoming more complex as our knowledge and understanding of how humans work physiologically, neurologically and emotionally. There are significant differences between mental illness, mental injuries and situational stressors that cause us to become seemingly stuck in significant psychological and emotional responses. Mental illness can in general be seen to encapsulate any kind of psychological disturbance that has no obvious cause, such as schizophrenia or a bi-polar mood disorder. A mental injury is sustained from going through a traumatic event that would not otherwise have occurred were it not for a specific trauma. And lastly there are normal and expected psychological and emotional responses to situations. e.g. relationship breakdowns, grief, financial pressures or parenting. How we approach treating each of these differs vastly and understanding the subtle differences between them is important.